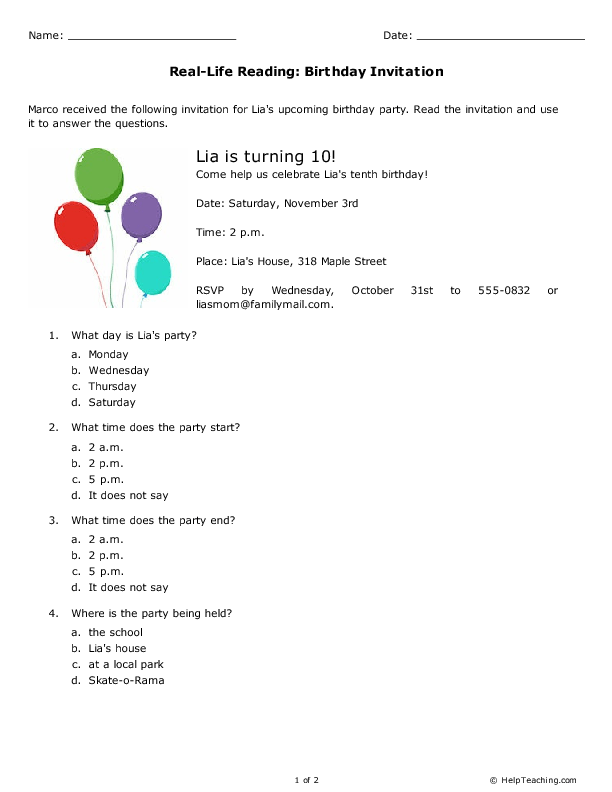 Students read the birthday invitation, and then answer questions related to it. This real-life reading activity helps build basic reading comprehension skills that students can use as they interact in daily life. 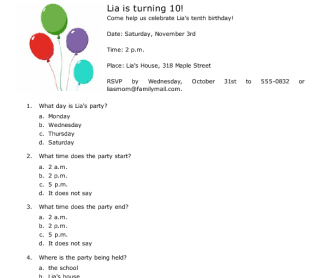 Find more reading comprehension worksheets on HelpTeaching.com.